It looks like Mary Kay is getting a little outdoorsy on us! Hatchback and all! 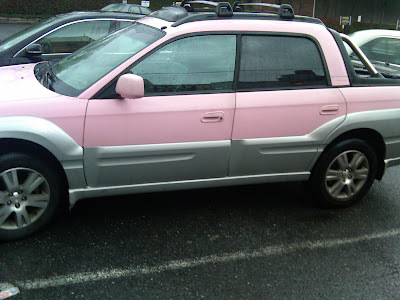 Congrats to the unknown outdoor loving, cosmetic product pushing Mary Kay rep who finally got her wings whip pink car!